Discover a community gym on The Broadway. YMCA has everything that you need to improve your fitness, tone up, lose weight or increase strength and mobility. 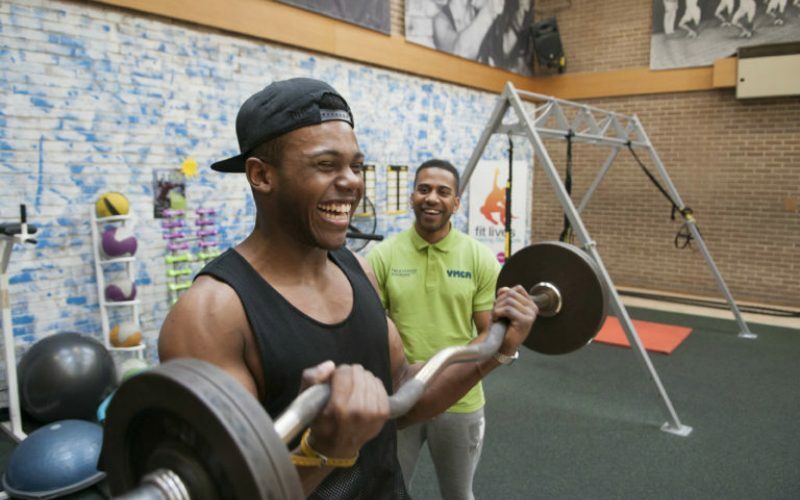 Welcoming, friendly and inclusive, you’ll find spacious facilities, a wide range of group exercise classes to try and the guidance and support you need to achieve your personal fitness goals. Become a member or pay as you go. Work out in a relaxed, comfortable and supportive environment. Gym equipment is modern and plentiful, with one room dedicated to cardio vascular machines, while the huge main hall is designed around resistance equipment and the principles of ‘Functional Fitness’. The gym hall is also home to a boxfit area, riptrainers and TRX. After your workout, you can relax in the sauna. 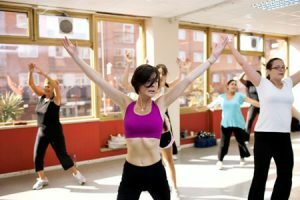 Enjoy a range of classes from Zumba to Pilates and Ballet to Combat Fit. There is something for all ages and levels of fitness all day every day. Take a look at our group exercise timetable to find the perfect class for you. A series of five one-to-one appointments designed to start you off and motivate you to achieve your fitness goals. See faster results through one-to-one training with a dedicated instructor to motivate, guide and offer non-judgemental advice and a programme designed especially for your needs and timescales. Provides support, education and employment opportunities for disabled people and those with a mental illness. Find out more. Relax and unwind after your workout. At YMCA St Paul’s Group, we believe in more than just physical wellbeing. For us, it’s all about mind, body and spirit and we support this with community activities that bring like-minded people together to enjoy life and live it to the full. If you suffer from an injury or illness, our Get Active programmes could help improve your physical and mental wellbeing with a customised training programme tailored to your needs. As a youth charity, you might expect that we actively encourage young people to join in. If you have small children you’ll love Pod2, a soft play centre for under 8s with activities such as Messy Play and Baby Yoga. Find out more. Hot drinks and light snacks are available from the ground floor, children’s area.